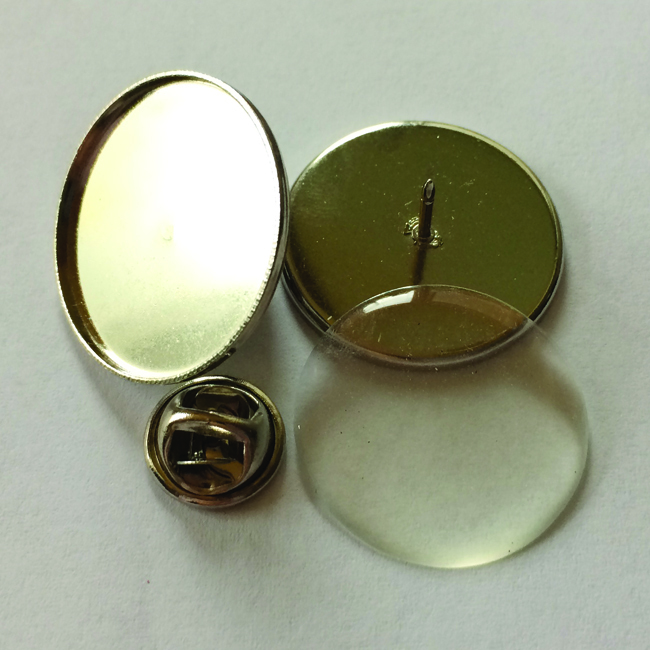 Our 25mm Insert Lapel Pins are made with a precast mould, which is available in silver or gold effect, the paper image layer is sealed under a self adhesive polyurethane dome and attached using a butterfly clasp. A great cost effective product for businesses, companies and charities to promote their organisations or events. Full Colour Print - We print using CMYK printers. Artwork that has been supplied in RGB format will have to be converted to CMYK and this can have an effect on colours. Artwork Design - If you don't have any artwork and have an idea/logo/text, we can turn it into a design for you. Artwork Samples/Artwork Set-Up - Once you have placed and paid for your order you will be emailed your artwork sample(s) for approval before your insert lapel pins are produced. One Design is Included - Extra designs can be purchased if required at £1.00 per design. Print Size: 28mm - The background/colour/pattern of your design needs to be this size, NOT the insert lapel pin size, so there is enough bleed when cutting out. Text/Image - Due to the extremley small print area to ensure your design is visible single logos or a few words work best on this product. Bold fonts work best. Colours - Contrasting colours work best - for example darker colours such as blues/purples/greens don't stand out well against a black background. Also depending on your screen resolution settings please be aware that colours may appear slightly different/darker when printed on the finished product. Design - Keep the design as simple as possible - fine/small images and lots of text will not be visible/readable. Resolution/Format - We accept most file formats, please ask us if you are unsure, but save your artwork as a large high resolution file - 300dpi minimum. We can work with smaller files than this, however the print quality may be significantly reduced. Artwork Submission - Registered customers are now able to submit artwork and required text from their accounts page or on the last page in the checkout process. Customers using PayPal Express will need to email artwork/details quoting the allocated order receipt number after purchase. 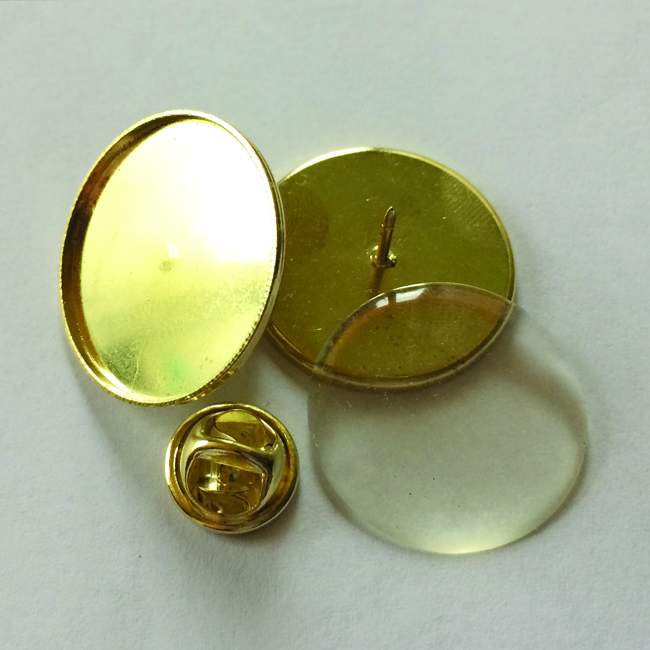 25mm Insert Lapel Pin. Made with a precast mould, the paper image layer is sealed under a plastic dome and attached using a butterfly clasp. Great for charities or gifts. No set up cost or minimum order. Available in silver or gold effect.